Are Onions That Sprout Still Good to Eat? Onions are members of the allium family. The vegetable is native to the Middle East and Asia and has been in cultivation for more than 5,000 years, both for its culinary value and as Egyptian currency and spiritual gifts for dead kings. Onions also have been used for their medicinal properties by ancient Greeks, Romans and Indians. The onions that sprout are still good to eat. Warm temperature causes sprouting in onions. Onions are best stored at cool temperature of around 32 degrees and start to produce sprouts at temperatures warmer than 40 degrees. Sprouted onions are perfectly usable and even the sprouts may be used. The onions that produce sprouts lose some of their sharp flavor and do not taste as strong as the non-sprouted onions. Sprouts only indicate an older age of the vegetables and are not a sign of decay or spoilage. The sprouts produced in onions may be removed and used in salads, soups or as garnishes. To remove the sprout, cut the onion lengthwise in half and pluck out the sprout. You can also place the onion in a small pot of water with the root side down to encourage more sprouting. Snip off the sprouts continually as they grow and use them in fresh salads. As opposed to sprouting, onions with wet necks indicate decay and rot. 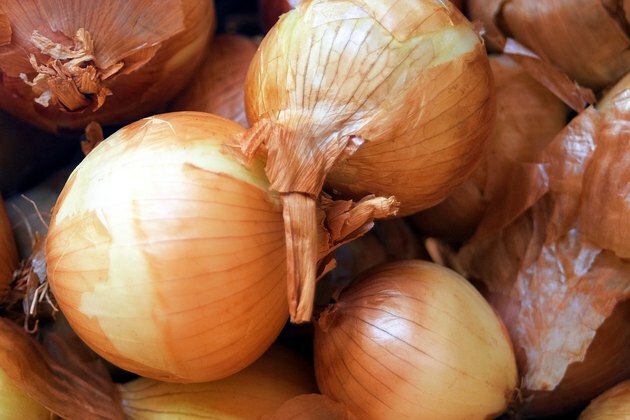 Store onions in a well-ventilated area out of heat and bright light. The vegetable does not require refrigeration unless it is the green onion variety. It is best to use a perforated storage vessel or wire basket because this allows for maximum air ventilation. Yellow onions store well for up to a month under optimal conditions. The white, sweeter tasting varieties have a shorter storage life. Scallions keep good for about a week in the refrigerator. 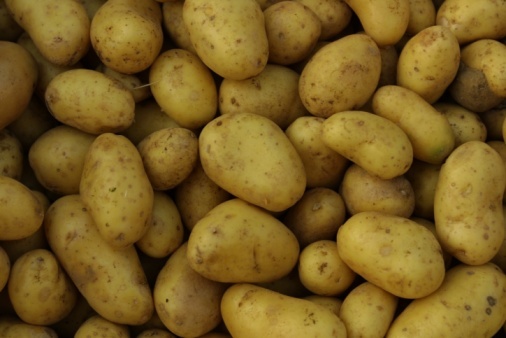 Keep onions away from potatoes because these absorb the ethylene gas and moisture from onions and cause spoilage. Onions grow best in phosphorus-rich soil and beds raised 4 inches high and 20 inches wide. Amend soil at a depth of 2 to 3 inches with a 10-20-10 fertilizer prior to planting. Plant transplants about 1 inch deep with 4 inches between plants and four to six weeks before the last spring frost. The vegetables are mature and ready to harvest when the tops start to fall over.